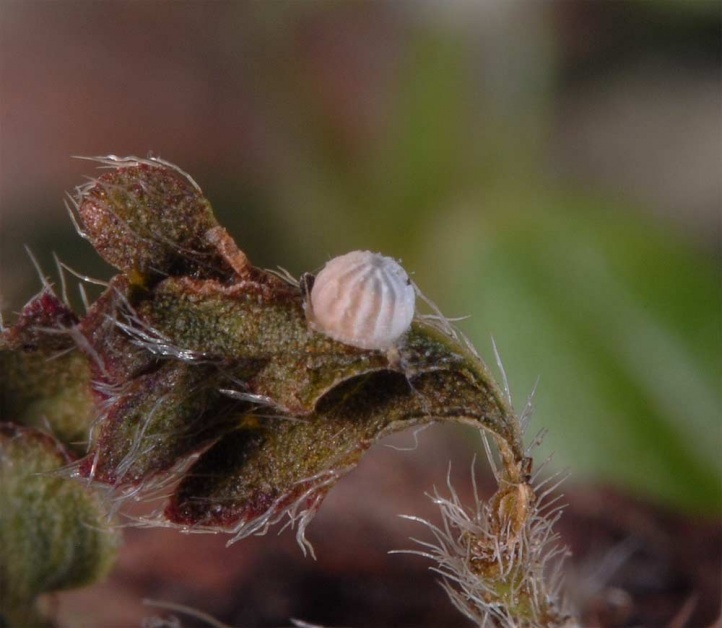 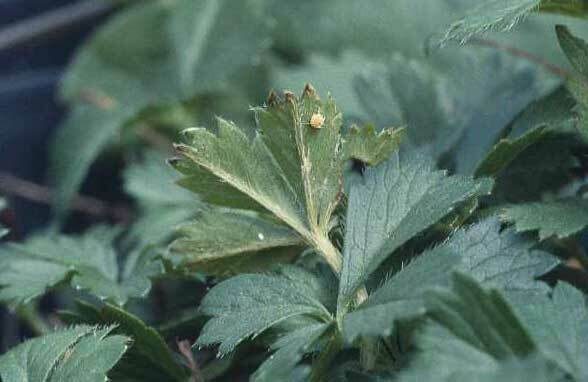 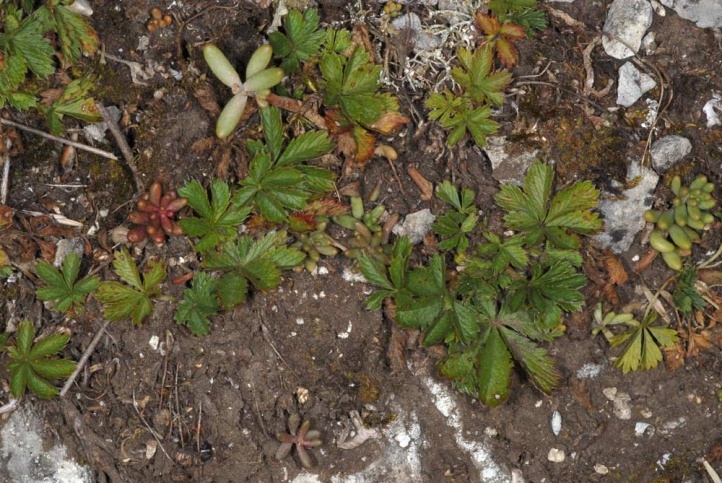 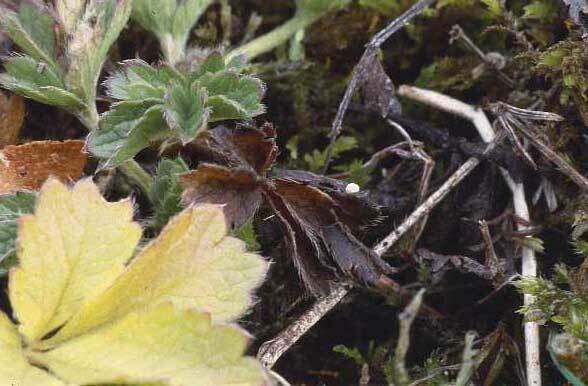 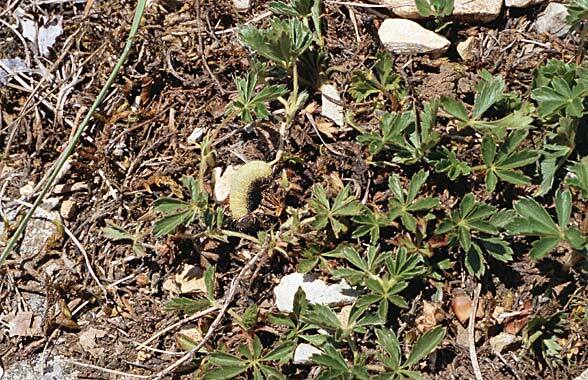 The eggs are deposited on Potentilla species, especially on Potentilla neumanniana (Spring Cinquefoil = P. verna = P. tabernaemontani) and Potentilla pusilla. 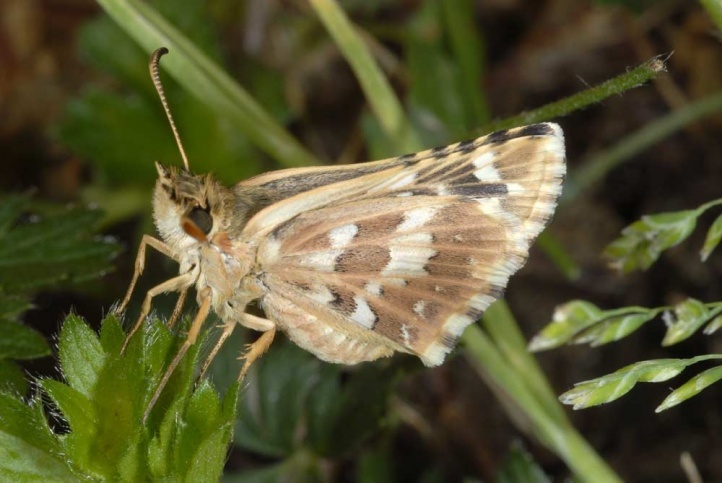 Pyrgus cirsii inhabitats larger limestone grasslands with xerothermic places and low growing vegetation that are often intersected with rocks. 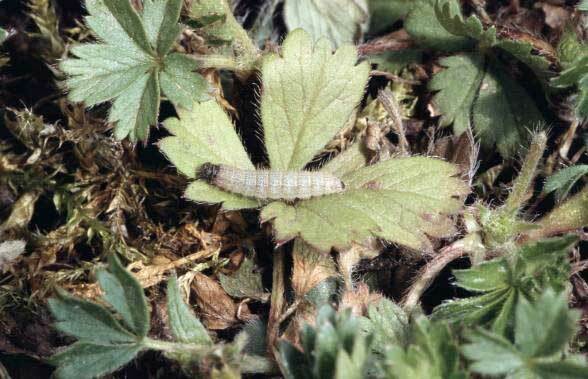 Pyrgus cirsii requires open ground or only moss- and lichen-covered spots for larval development where the Potentilla-pads are growing directly on the surface. 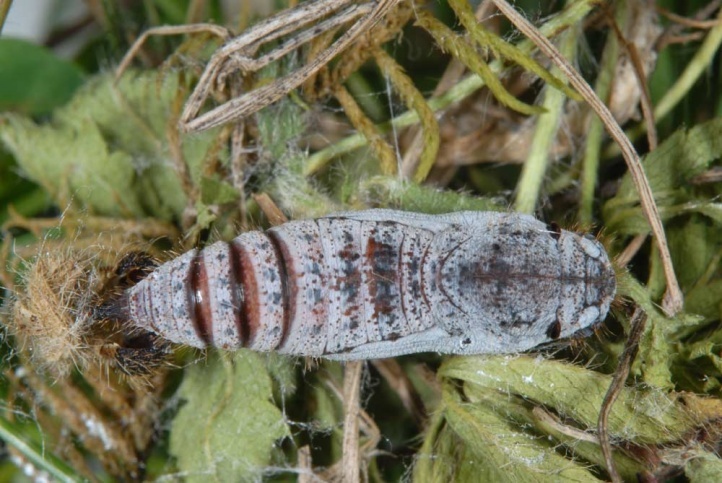 Pyrgus cirsii has as a characteristic always six larval instars (5 moults). 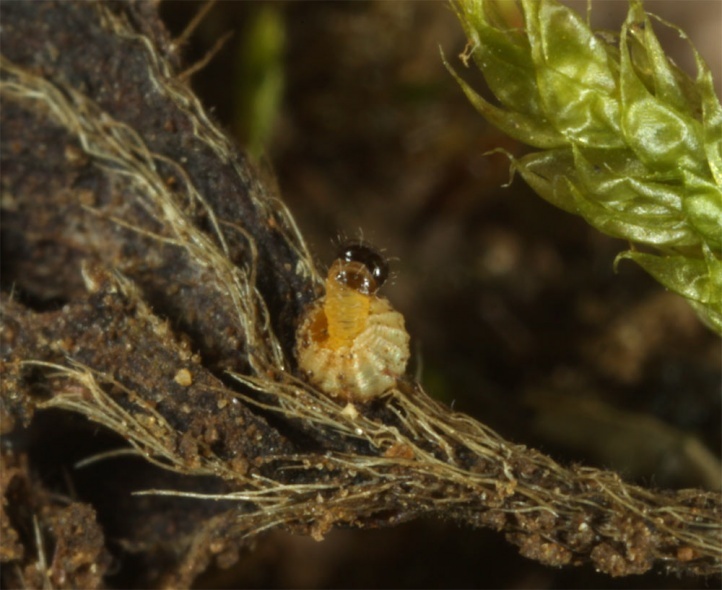 This species has a delayed larval development. 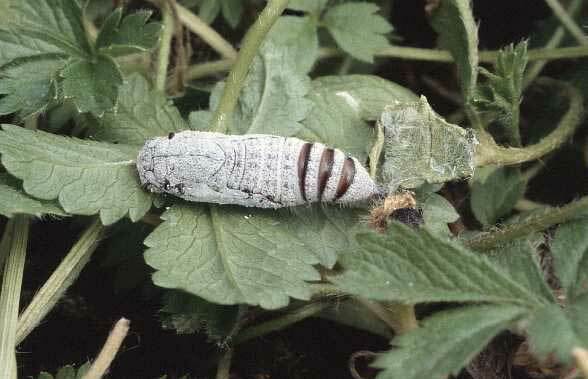 Hibernation takes place as a fully developed caterpillar within the eggshell from August or September until the end of February or March. 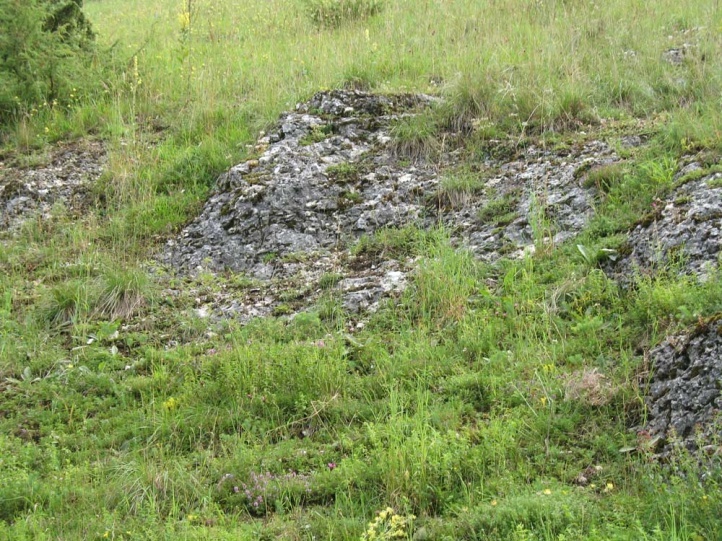 In 2010 (20. 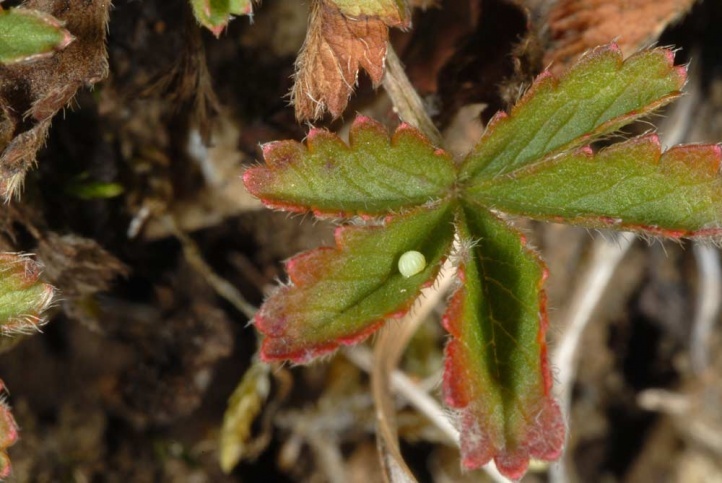 March), I observed in the Jura mountains in Southern Germany (eastern Schwäbische Alb) after about a week of thaw (cold, long winter) 12 eggs, 3 of which had already hatched and one was just at hatching (see photos). 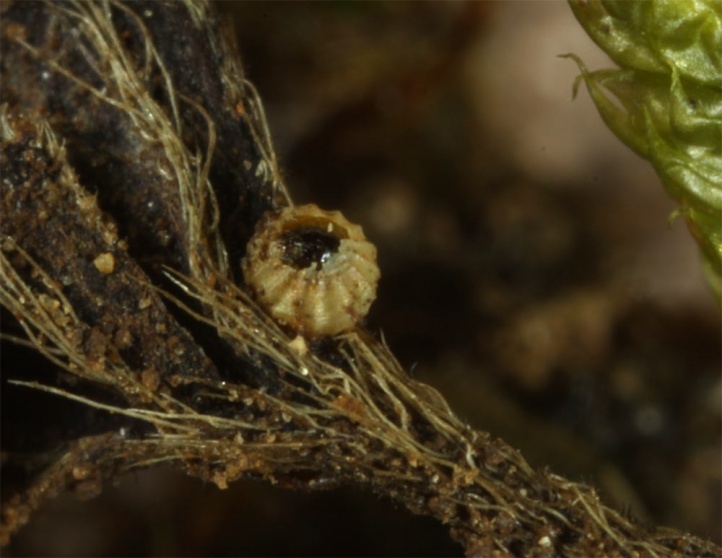 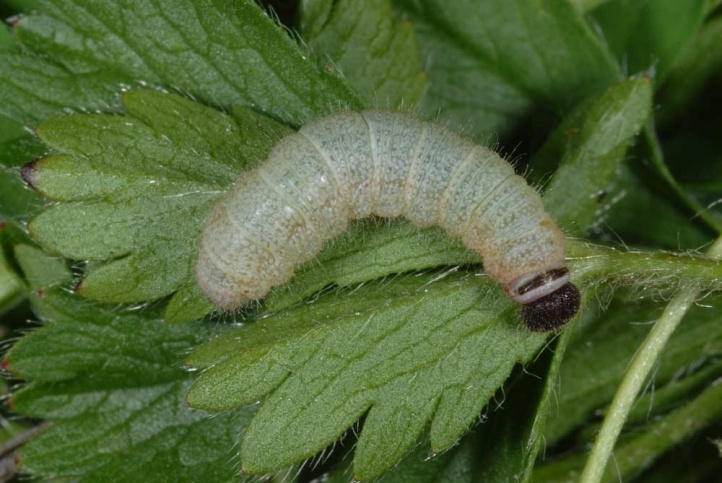 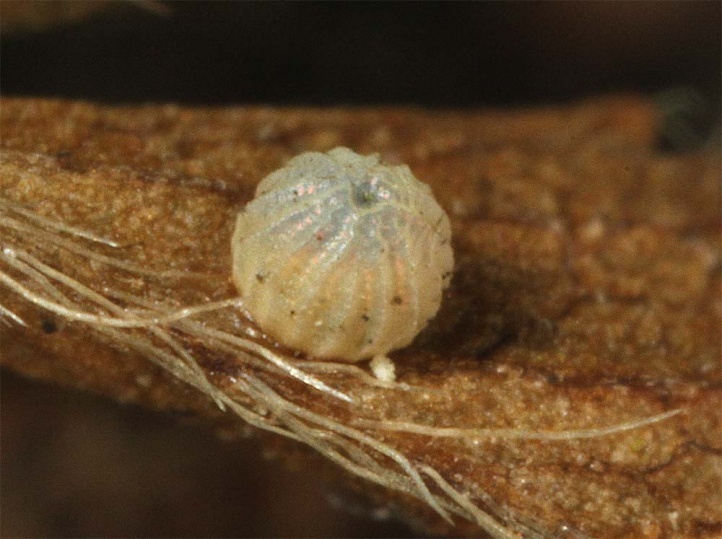 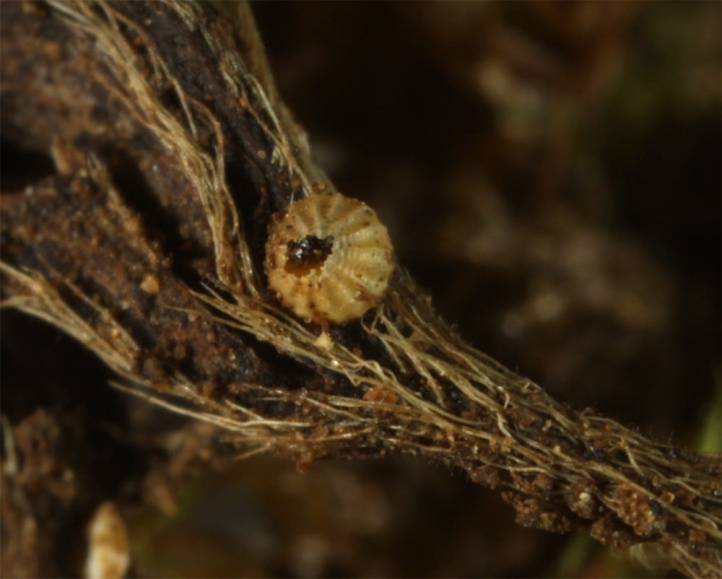 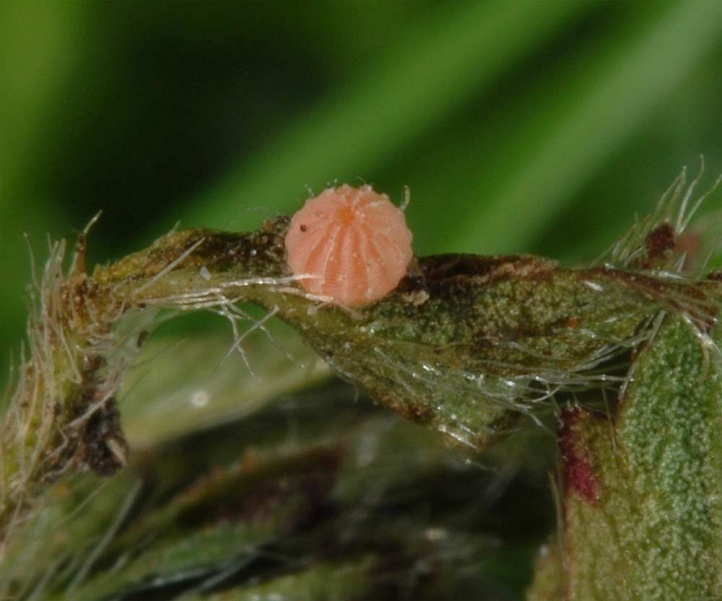 Egg laying usually takes place on the lower leaf surface (very occasionally upper leaf surface) or sometimes at the petiole or at moss or lichens. 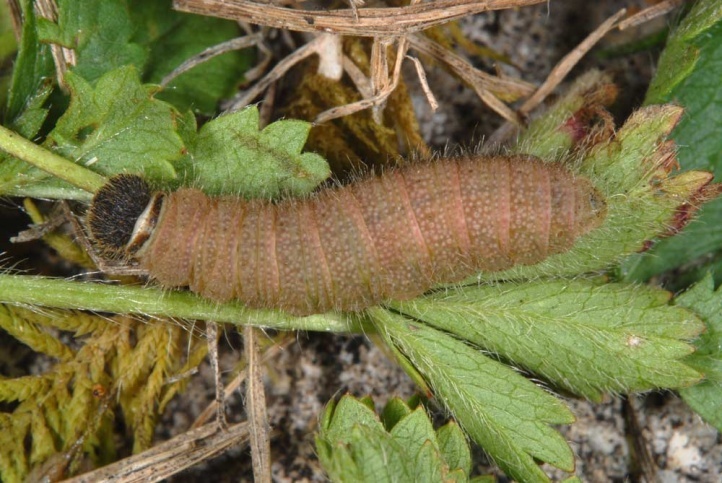 The caterpillar lives from (February) March to July. 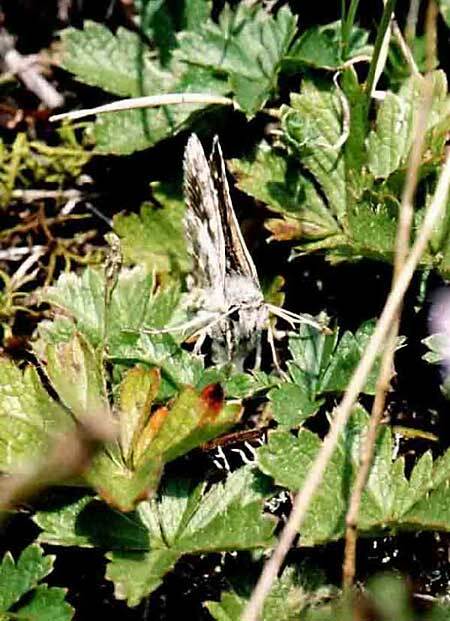 The flight time is in August and September (rarely first males in the end of July, rarely supposedly last adults in early October). 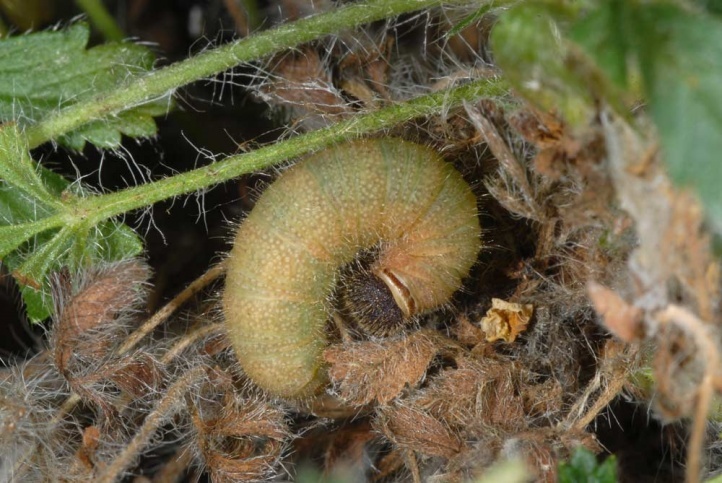 The fully-grown caterpillar rests - now discoloured from green to reddish brown - in July for about 2-4 weeks in a shelter on the ground prior pupation takes place in another, (always?) 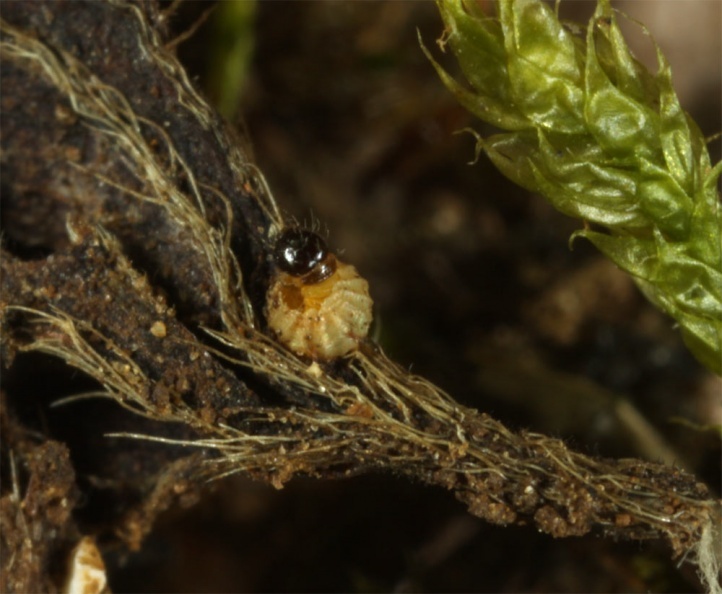 newly constructed housing in the litter. 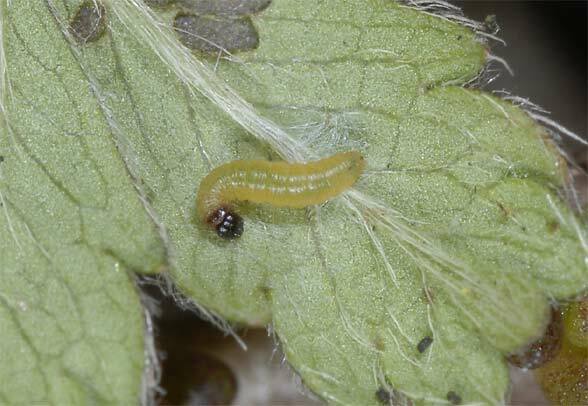 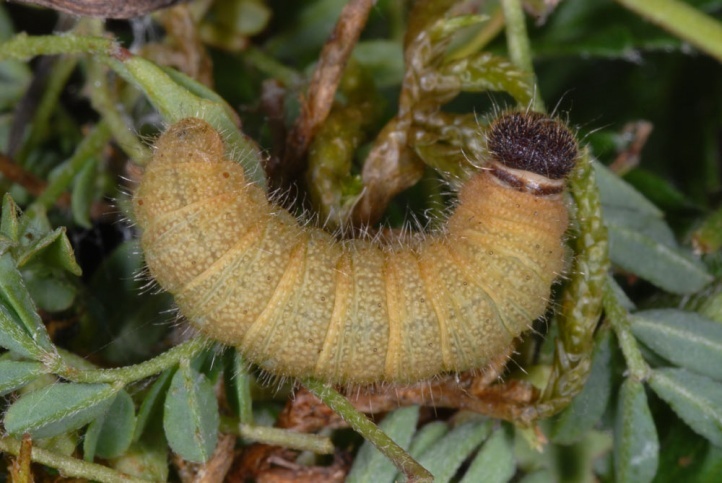 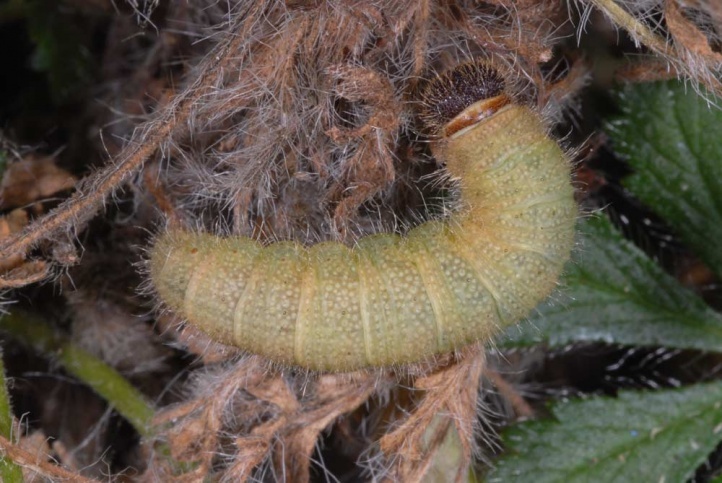 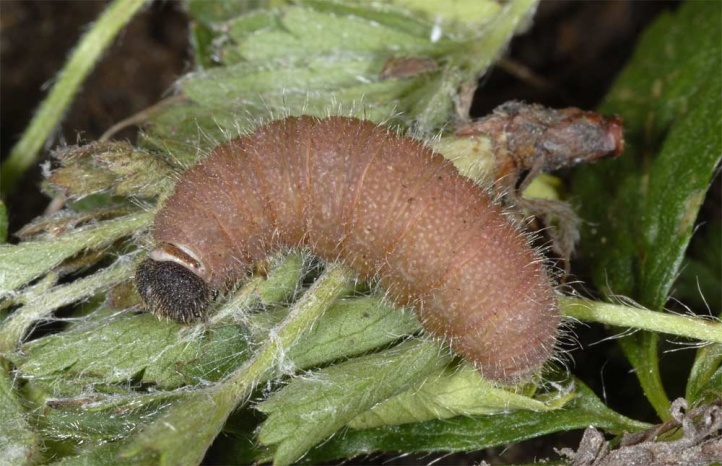 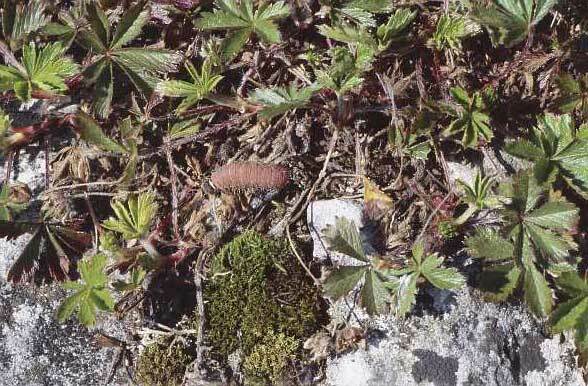 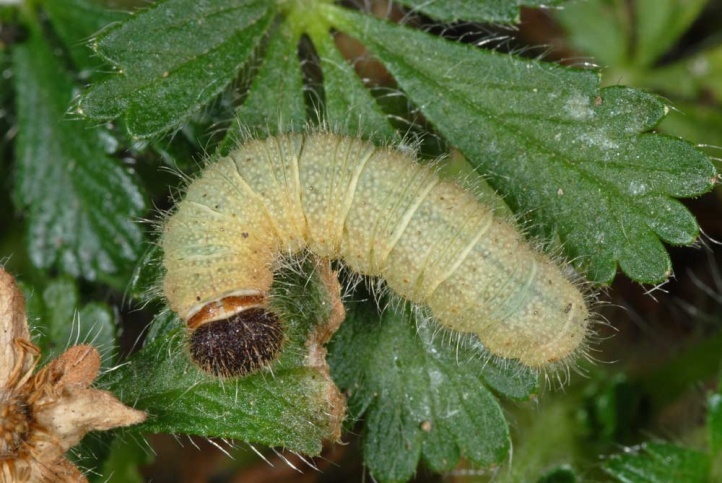 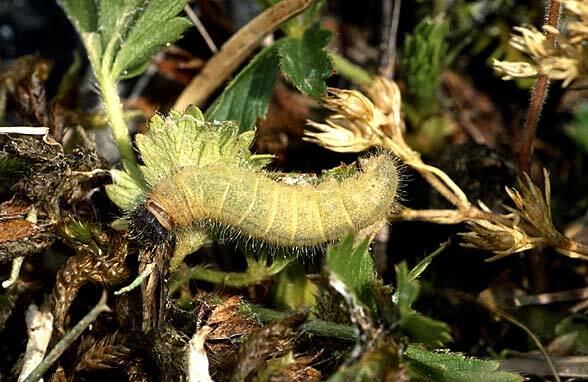 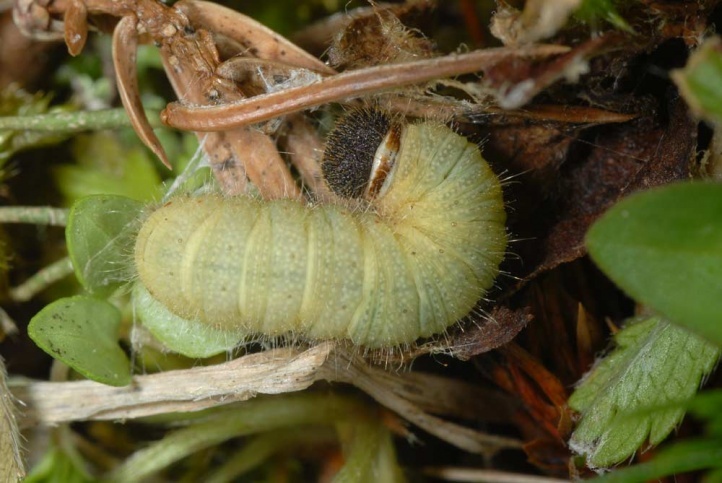 The larva can only develop in hot areas with low coverage of higher growing vegetation, but often high in mosses and lichens. 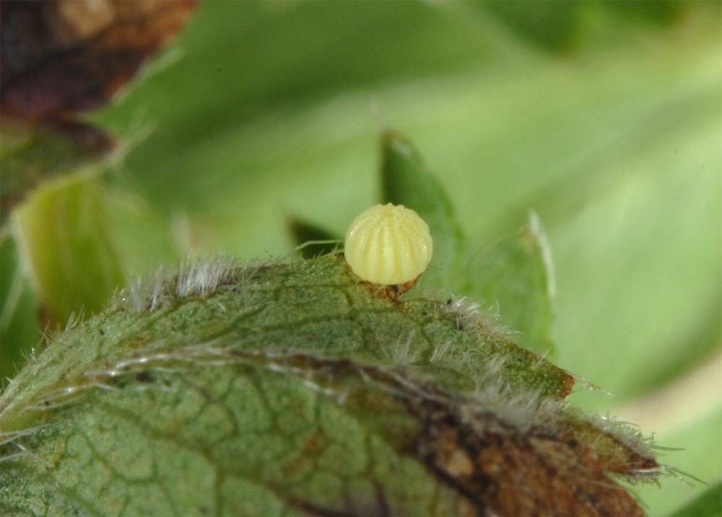 In dense and higher growing vegetation there will be no oviposition. 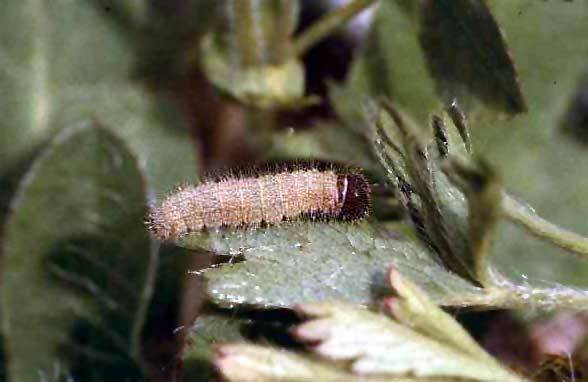 Alleged observations in Alsace (SBN 1997) in such a position are confusions with Pyrgus malvae (see Figure of the fully-grown caterpillar at SBN 1997 -> P. malvae). 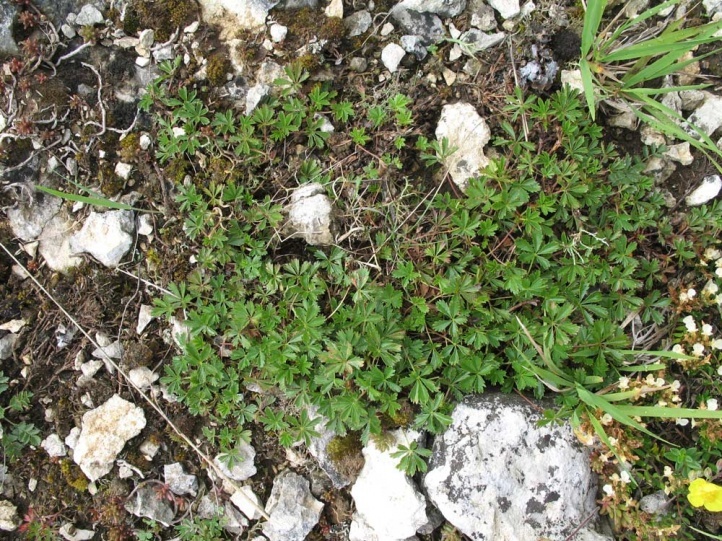 The hint at Bink & Weidemann (1996), Pyrgus cirsii would need fresh places with Potentilla reptans within the drylands is wrong at least in Central Europe. 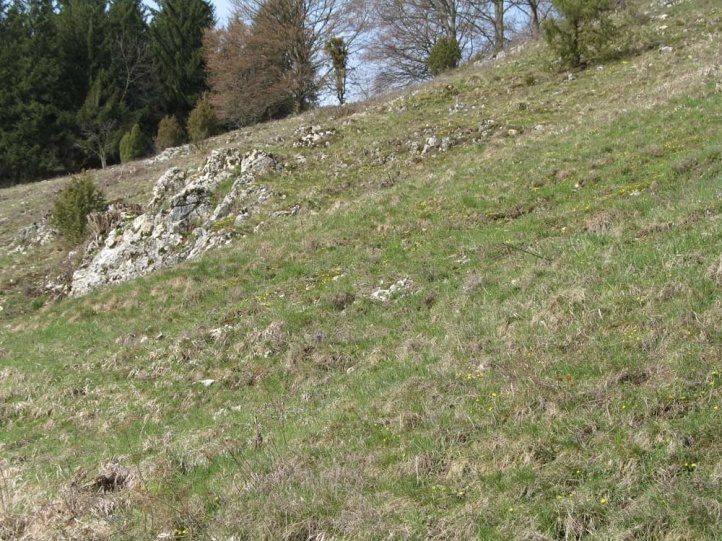 Habitat loss due to eutrophication (nitrogen deposition from the atmosphere, agriculture), decline of migratory sheep grazing, bush encroachment, overbuilding, fragmentation and isolation has already led to complete extinction of Pyrgus cirsii in Switzerland and Austria and to a dramatical decline in the rest of Central and in parts of Southern Europe. 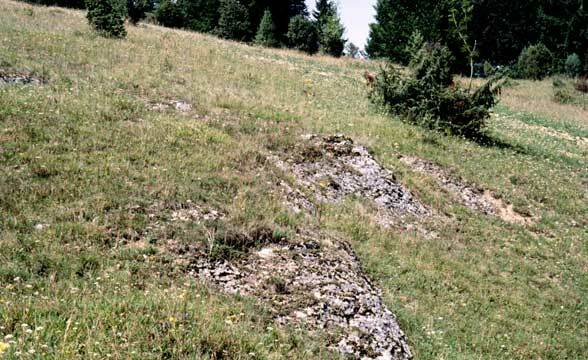 However, after large maintenance measures first signs of a recovery are visible in the last locality of the Swabian Alb in Southern Germany. 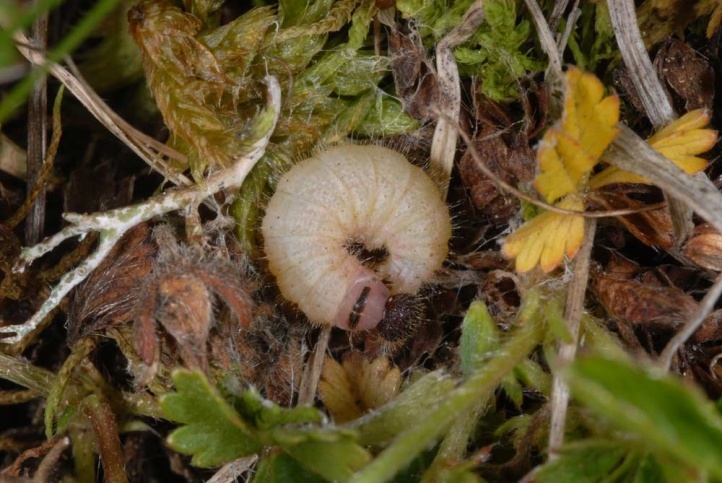 But the still often too low sheep grazing rate may not be sufficient to maintain or extend the larval habitat in the long term. 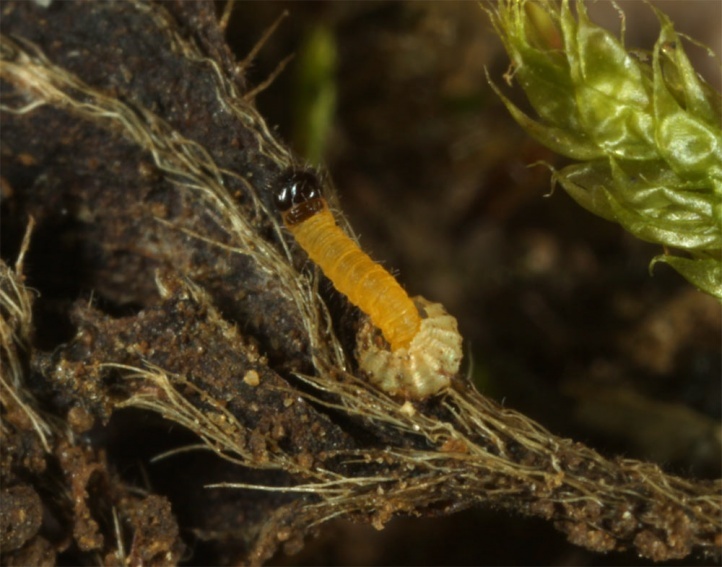 The best larval habitats are found there at shallow places where the rock prevents establishment of dense and high vegetation in the first place thanks to summer drought. 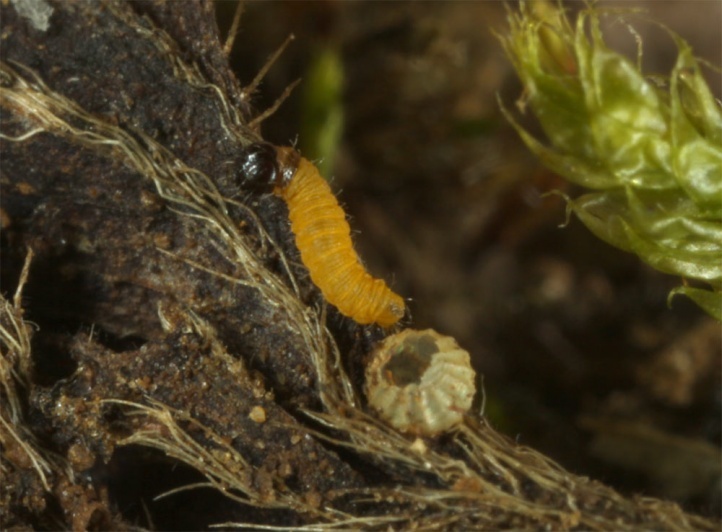 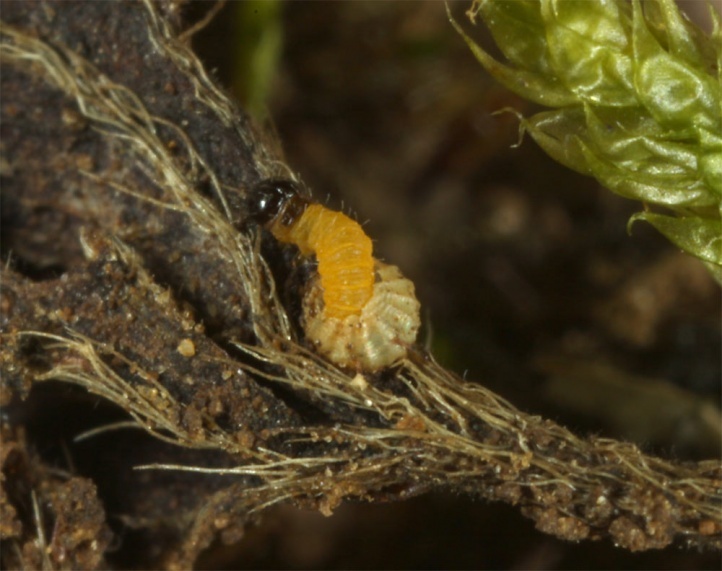 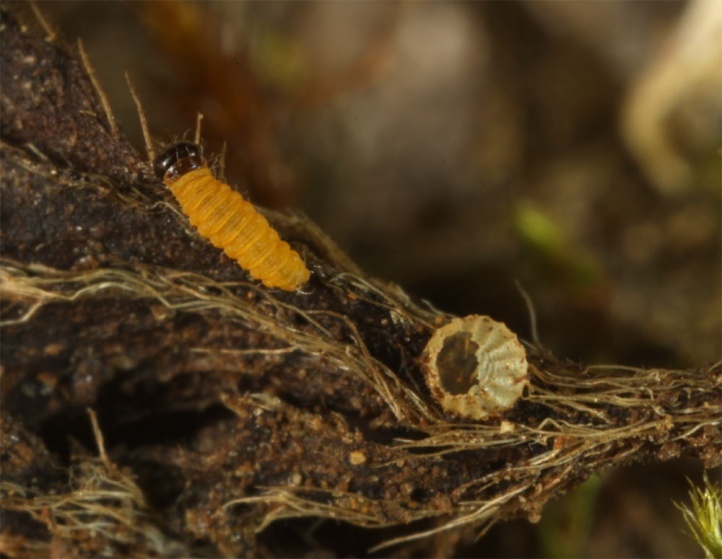 For extension of the reproduction areas additional actions are required (topsoil removal at appropriate places after clarification with a specialist, not in actual larval habitats). 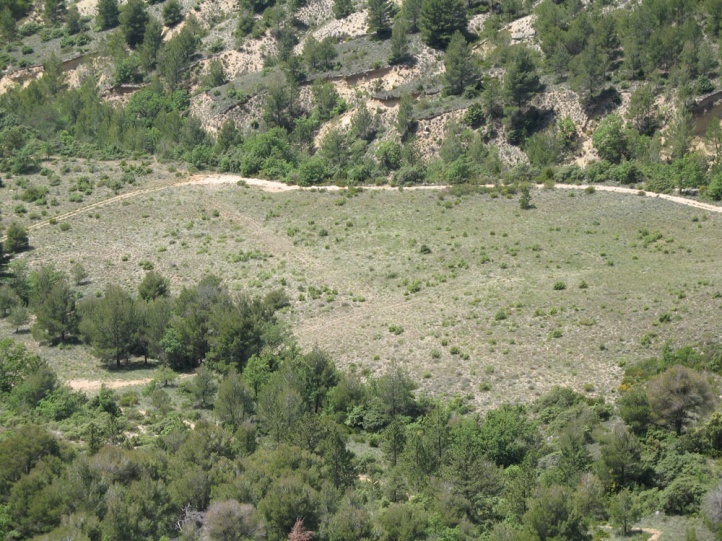 The long-term survival can be guaranteed only by a recurred migratory sheep grazing (not in the flight time) and sufficient larval habitat (erosion surfaces, lean, extremely low growing and gappy, dry and sunny terrain). 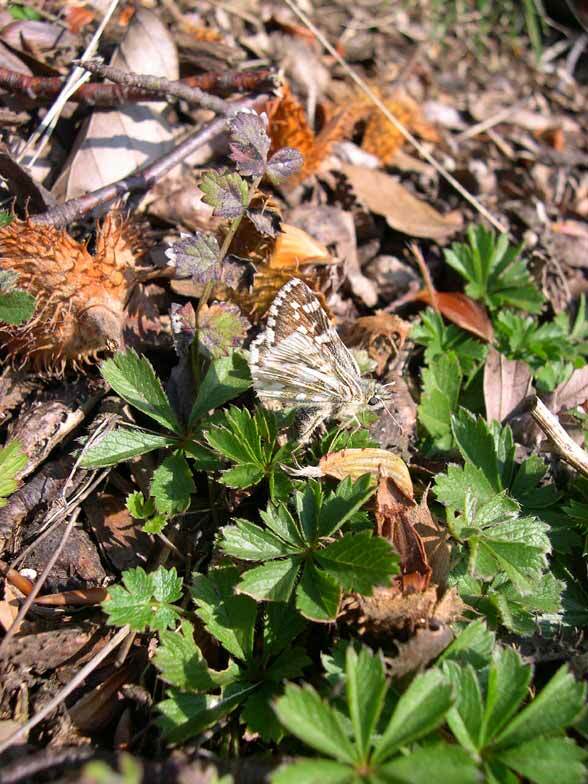 Pyrgus cirsii is widespread in Southwestern Europe. 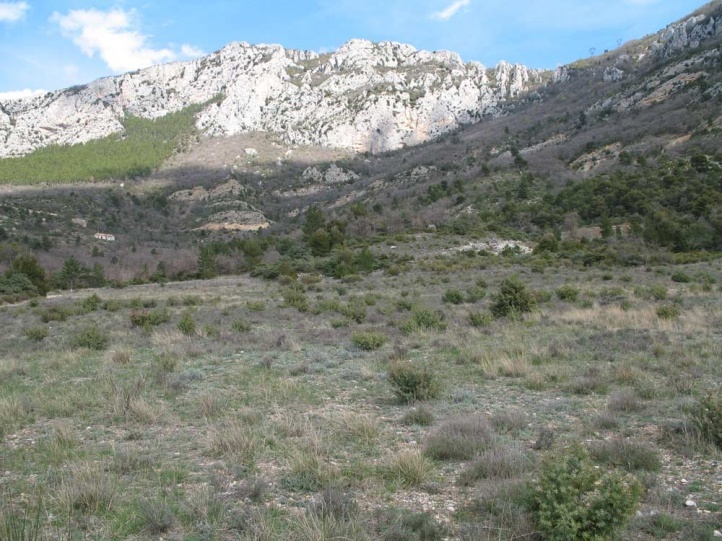 It is more common in the Iberian Peninsula and in parts of the French Provence. 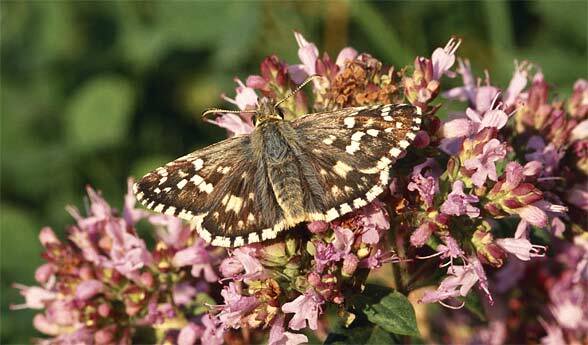 In Central France and Germany it has disappeared almost completely. 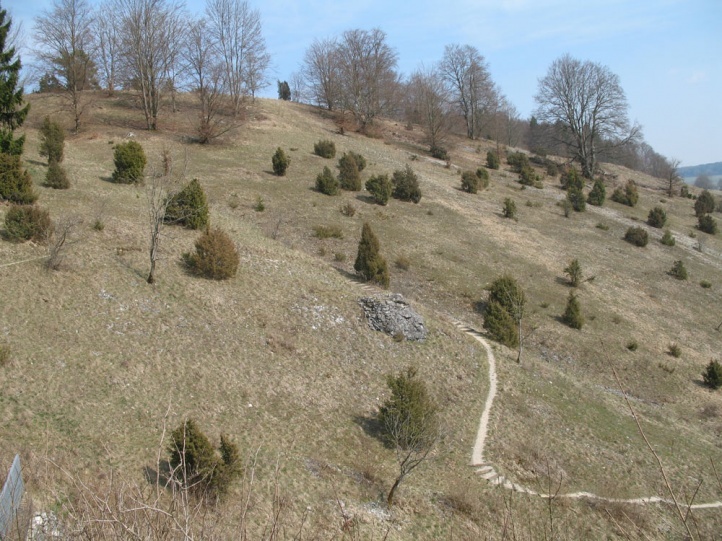 The eastern border of the distribution area is located in Germany (Bavaria, some recent sites) and western Austria (Vorarlberg, only historically). 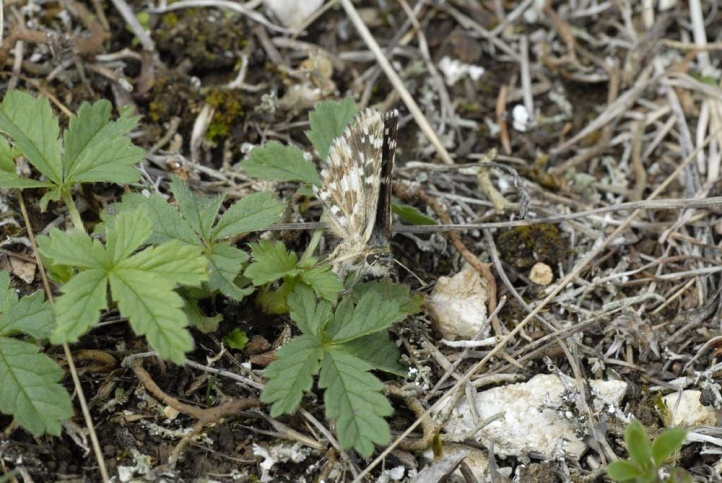 There are also observations from Asia Minor (Turkey) in the literature, but these probably refer to other species so that Pyrgus cirsii is endemic to Western Europe. 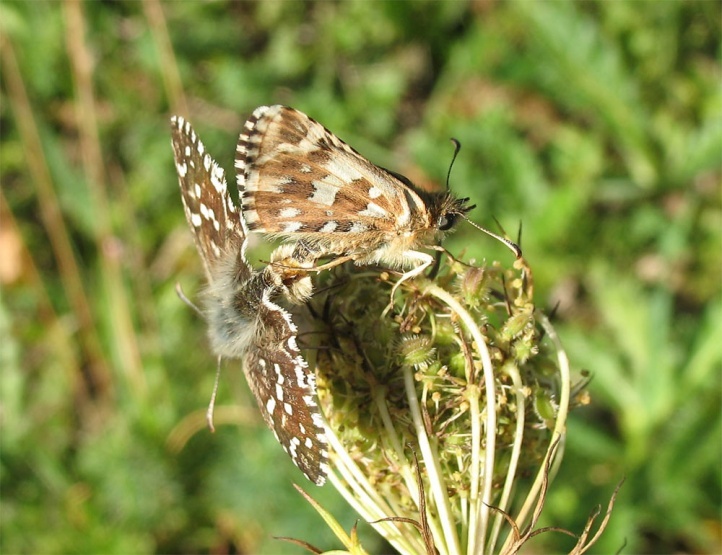 North of the Alps, Pyrgus cirsii can be confused with Pyrgus alveus or the later generations of Pyrgus armoricanus. 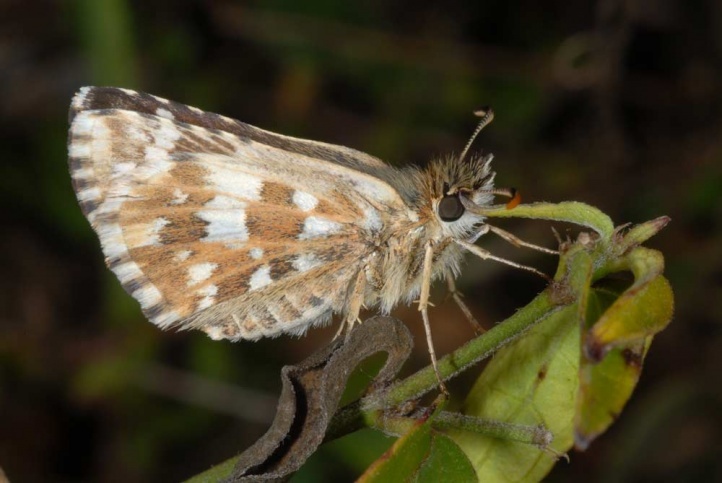 In Southwestern Europe there are additional similar species: Pyrgus bellieri and Pyrgus cinarae (the latter only local in Spain). 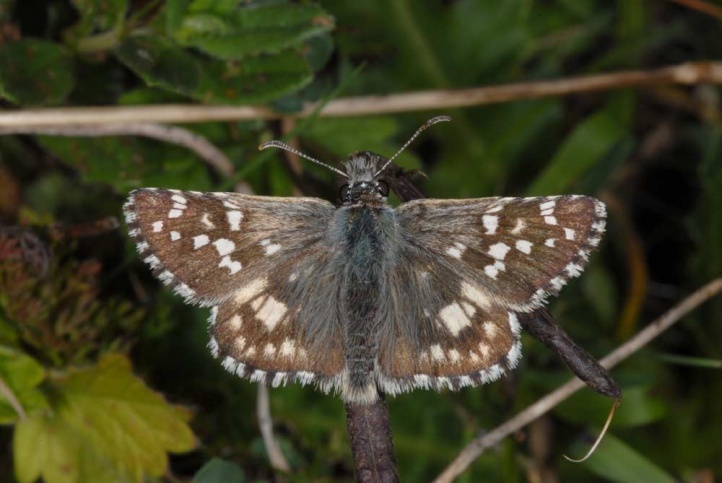 The best distinguishing marks are the whitish distinct veins in combination with the often reddish colour on the hindwing underside, the more robust figure in comparison to Pyrgus armoricanus and the often broad rectangular spot in the central area of the forewing upperside. 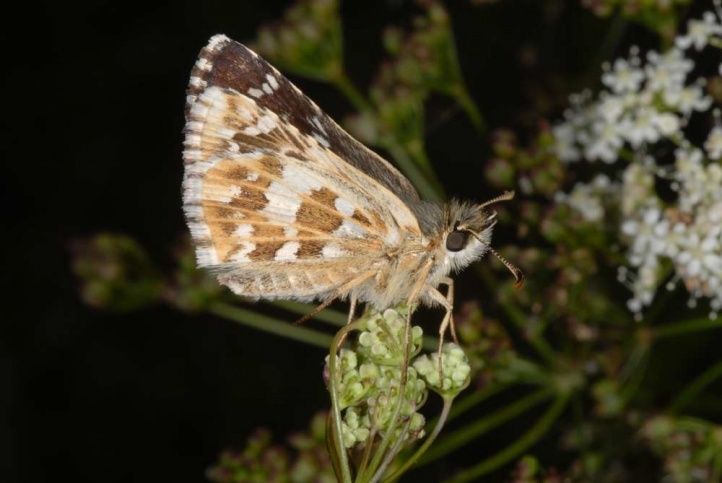 A weak hint (similar with some individuals of other species) is also the clear and distinct white marking on the hindwing upperside (especially in males). 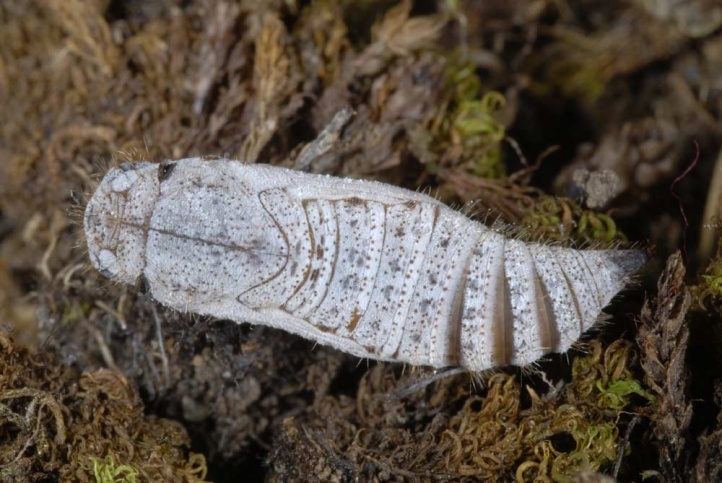 It sould be noted that a correct determination based on photos is not always possible and you should take few specimens for genital exploration at unknown and unworked locations (at first look at local laws!). 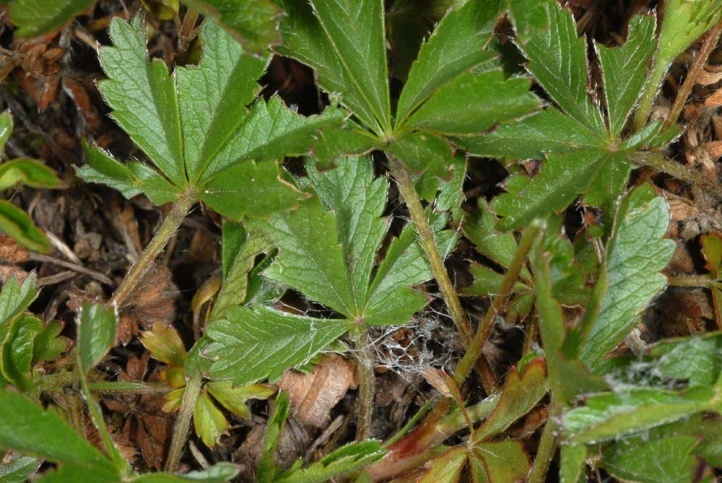 With very much (!) 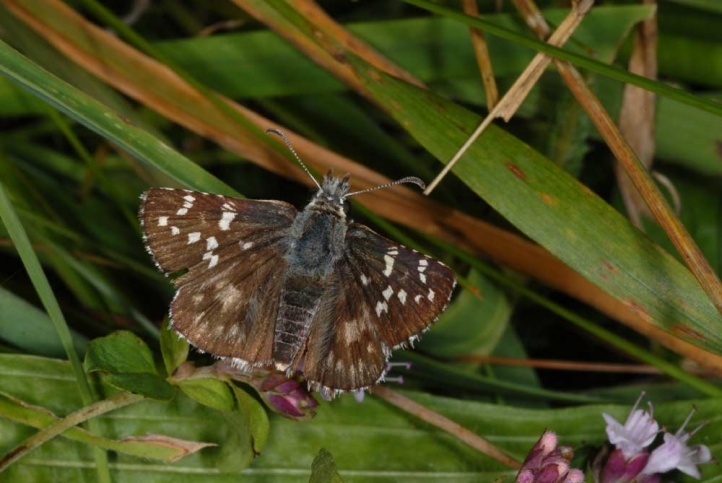 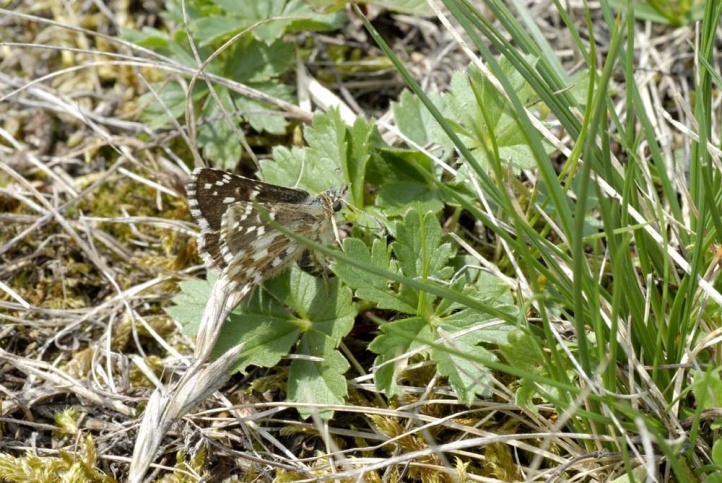 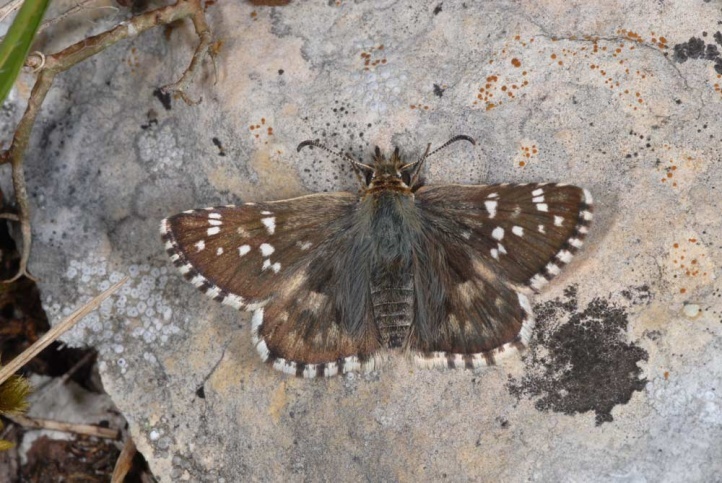 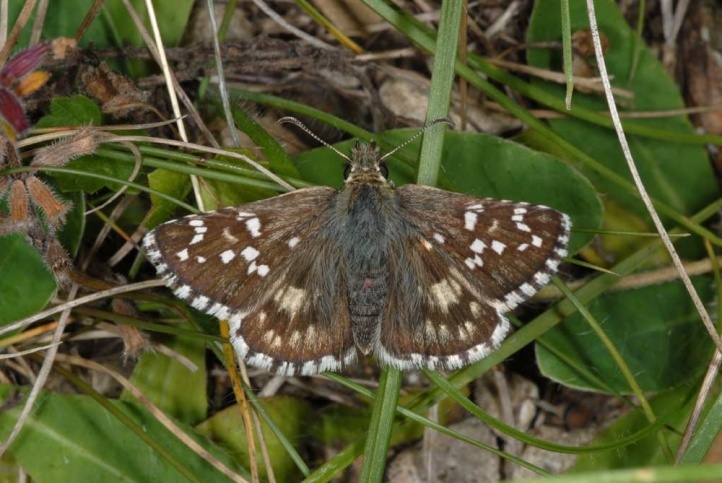 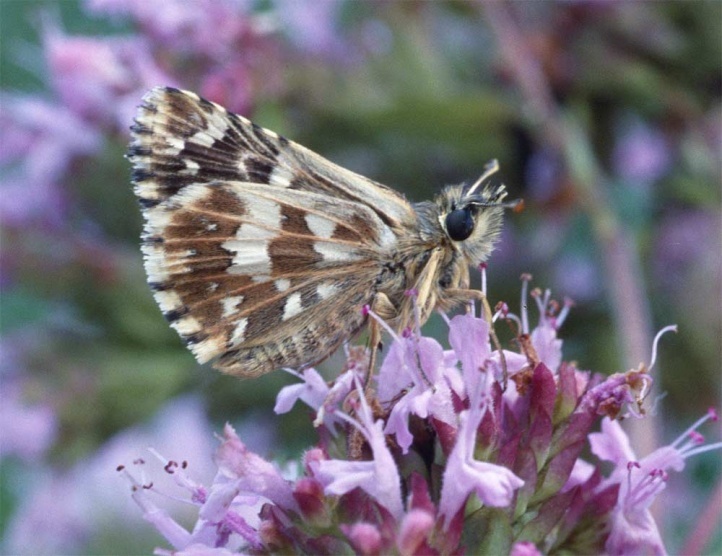 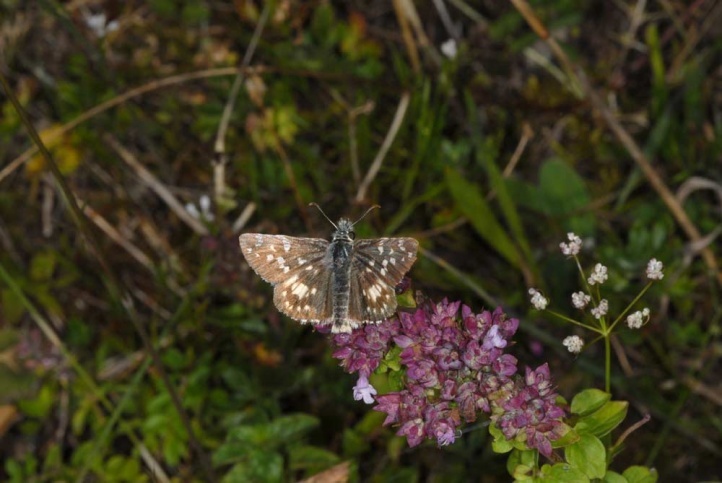 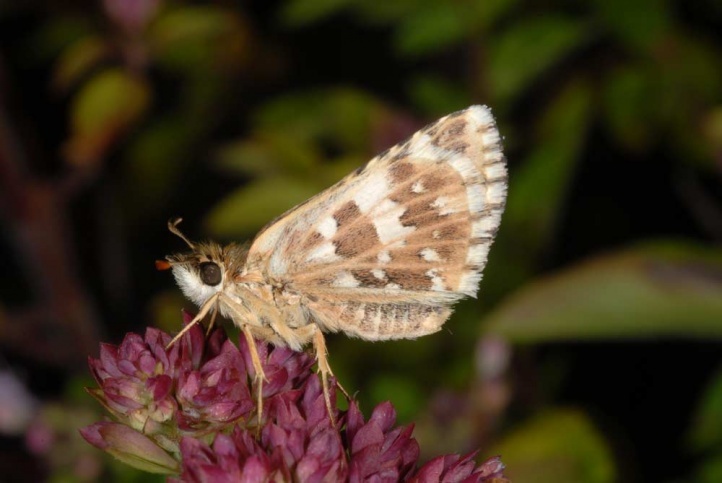 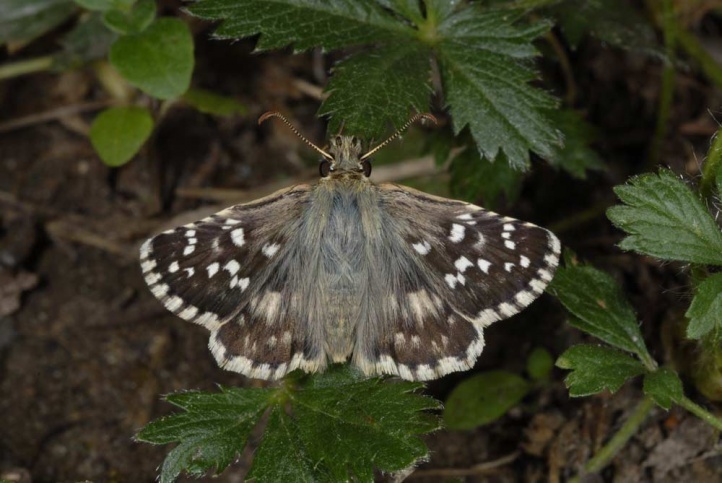 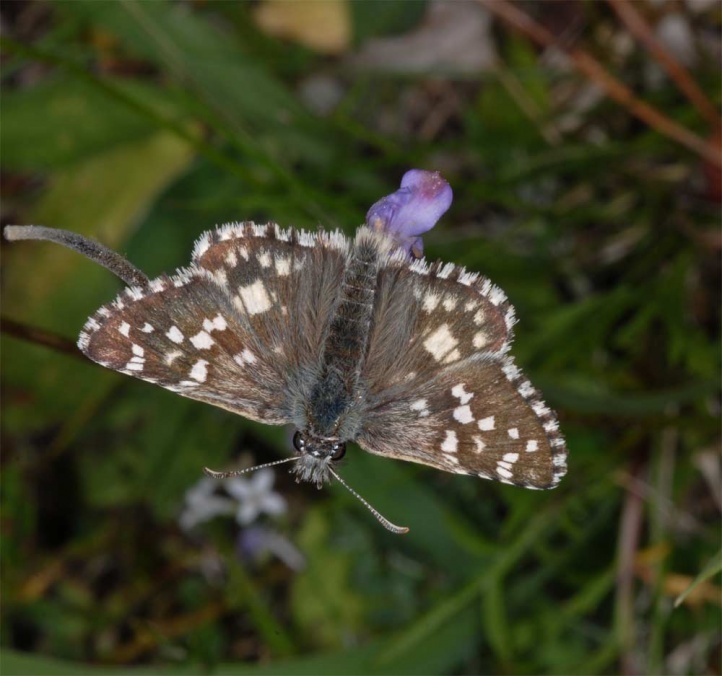 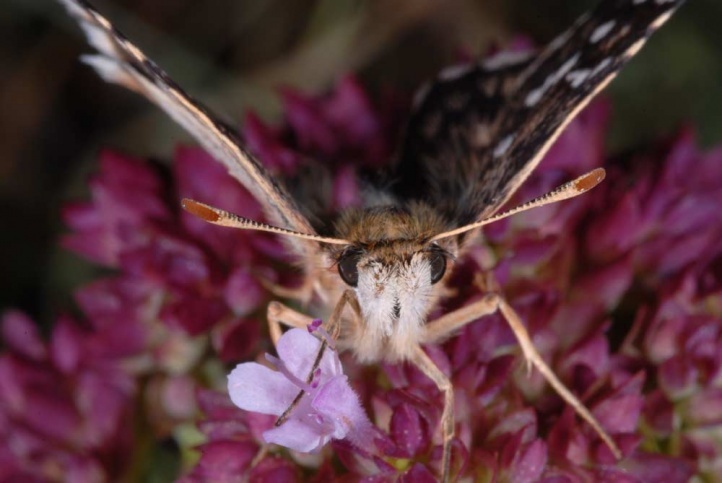 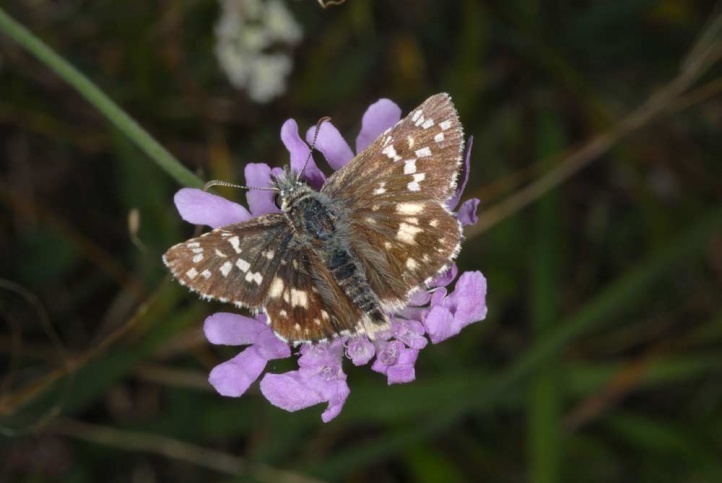 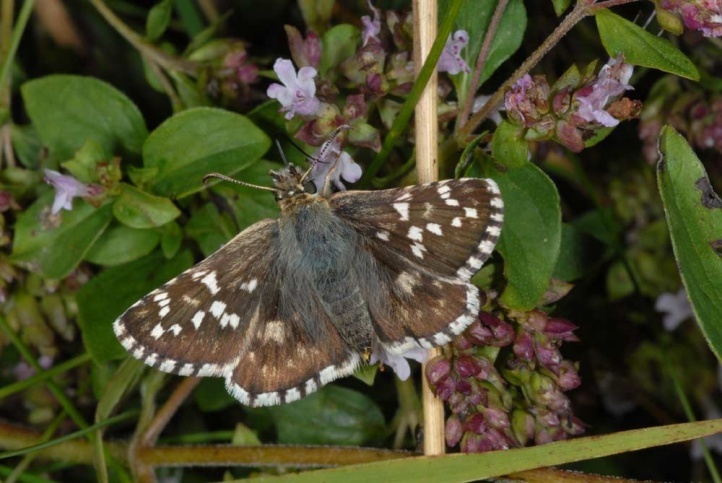 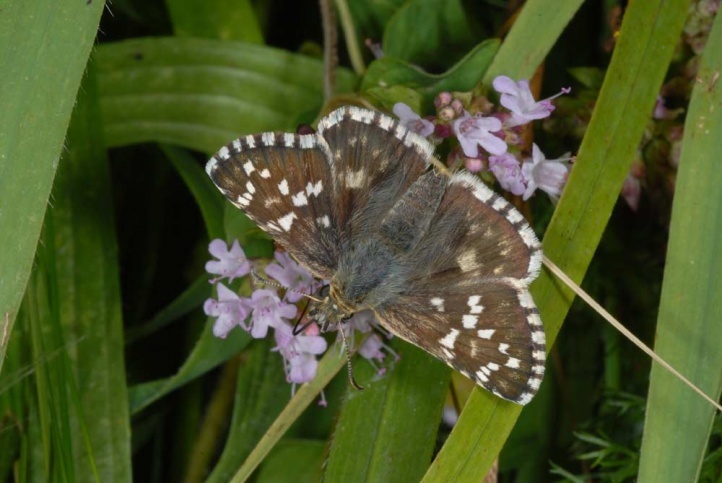 experience it is possible to determine Pyrgus cirsii also in the field.